The Calgary Children’s Choir is very lucky to have a wonderful artist as part of our staff. Our Creative Consultant, Kat Long-Jones, recently created three new t-shirt designs for the choir to wear on our upcoming tour to the Unisong Choral Festival this summer! 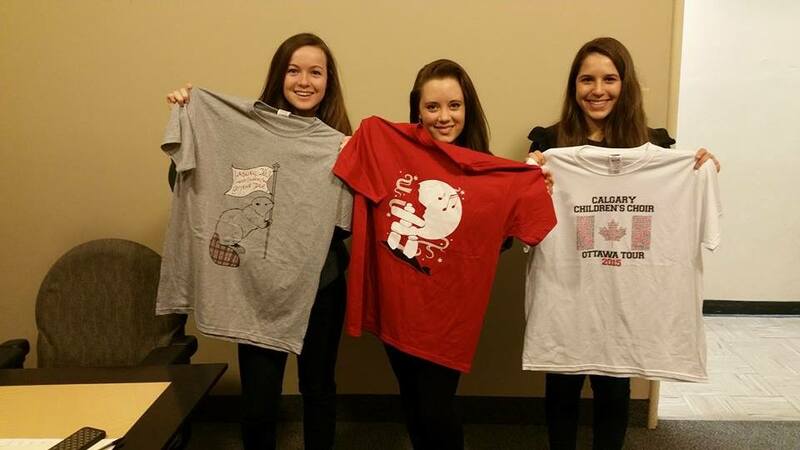 Kat designed these three t-shirts to be something the choristers would want to wear after tour was over, and to serve as a reminder of the fantastic time had on tour! Kat chose the national animal of Canada, the beaver, for the first design. Since beaver tails have such an interesting texture, Kat elected to modify the tail to include the Calgary Children’s Choir kilt pattern! 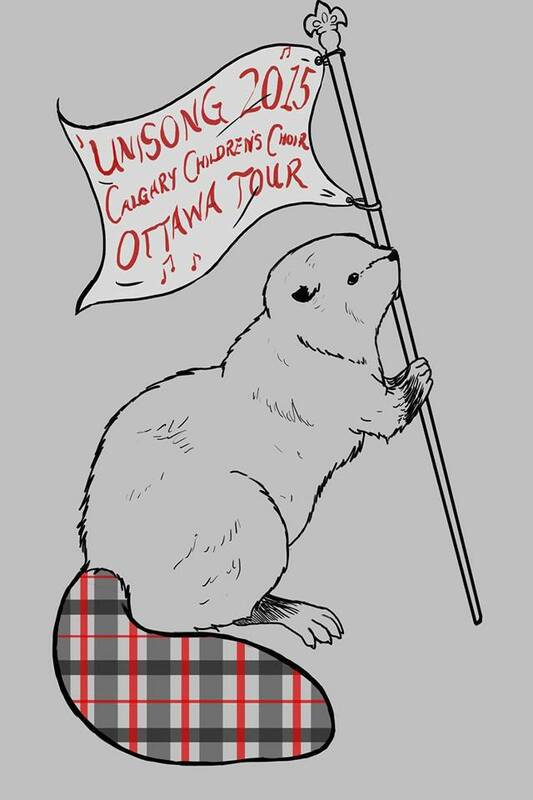 The beaver is depicted holding a flag heralding the choir, and our upcoming tour destination! In this design, Kat was inspired by the popular collegiate-style t-shirts. She created a replica of the Canadian flag, using black and red text. 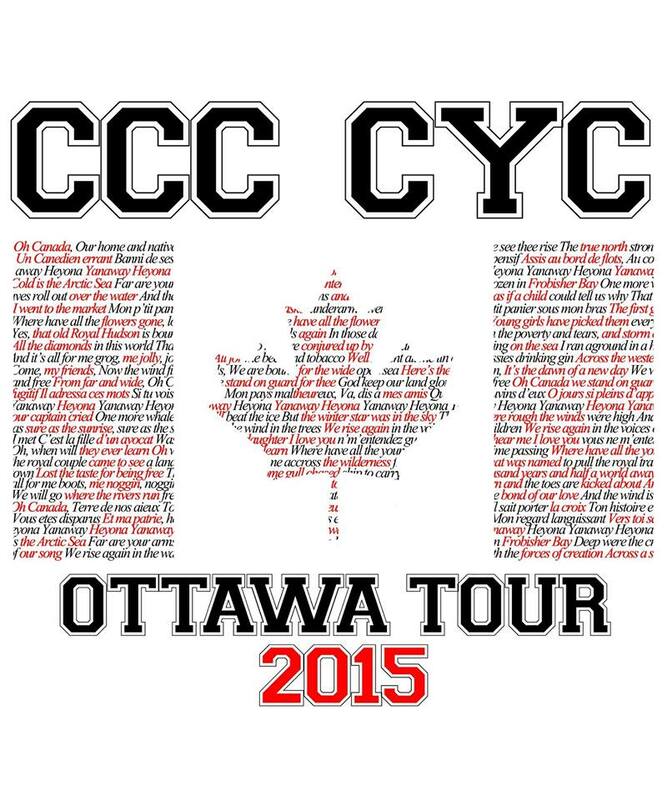 The writing on the shirt contains the lyrics from the songs the Calgary Children’s Choir will be singing on tour. This shirt is meant to convey that the Unisong Choral Festival, and our wonderful Canadian nation is made up of music, and communities coming together. 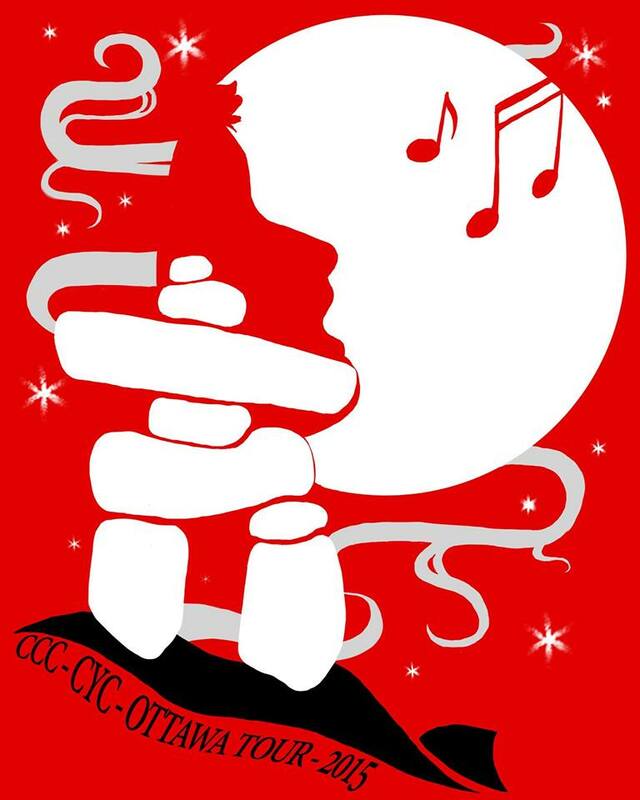 The third design features an Inukshuk, a symbol from our northern First Nations people, and a symbol which is recognized around the world as Canadian. The Inukshuk is built as a physical marker for travellers, but also a spiritual reminder of safe journeys, and the way home. Kat designed this shirt with our choristers in mind, as they travel away from their families to represent our choir on the national stage. 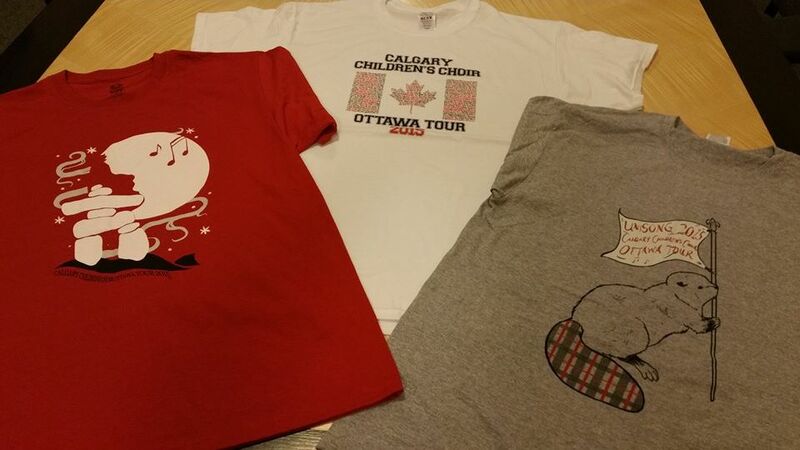 The Calgary Children’s Choir logo is seen as a sihouette in the moon – Singing For The Joy Of It! 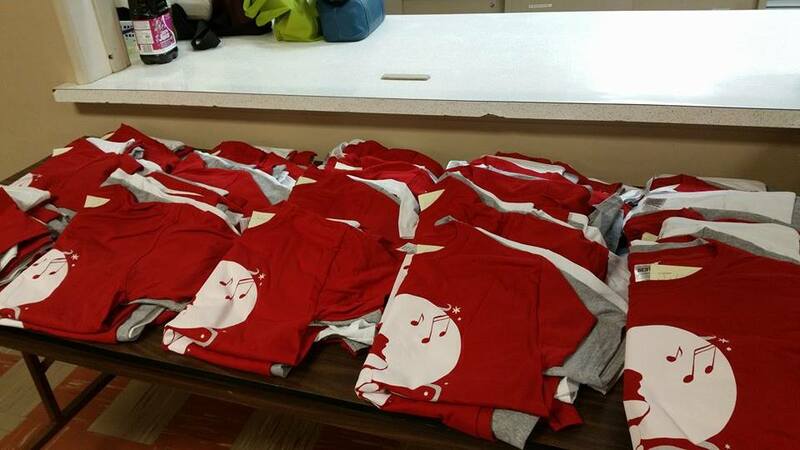 Our choristers got to see their new tour shirts at our recent choir workshop! Many thanks to Kat Long-Jones for these beautiful designs! Which t-shirt design is your favourite? Tell us in the comments below!